Opening day is imminent for Uptown's first Dollar Tree which we first reported on back in November. New windows and doors have been installed on the former thrift store building at Sheridan and Sunnyside. It is a noticeable improvement over the former appearance of the building. The A+ convenience store has moved to the northern part of the building. A quick peek inside shows polished concrete flooring and shelves just waiting for goodies. 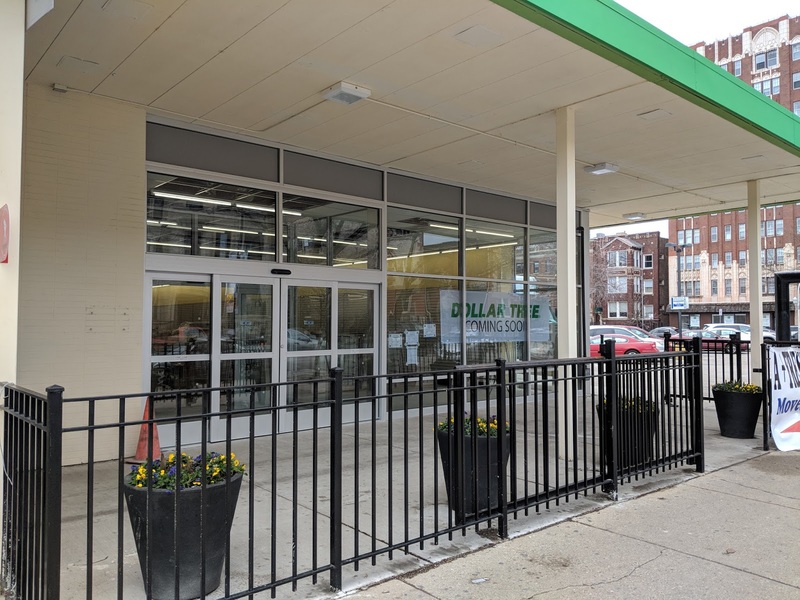 This Dollar Tree will join nearby stores in Lincoln Square and Edgewater. On my part of the south side it's hard to get away from a dollar store period. Let along a Dollar Tree. Hmmm....I just passed that building and I saw the A+ store in the former Unique Thrift Store location. Are you guys sure the Family tree is going to open, because there were no signs about the Family Tree. But it's much welcomed. Now I can go to a closer store. A+ is next to the former Unique Thrift. 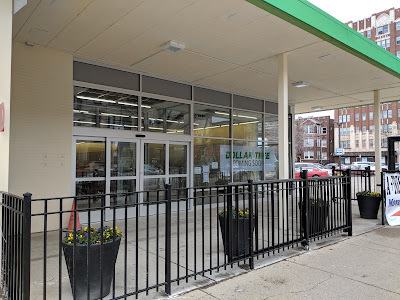 Click on the photo above and see the "Coming Soon Dollar Tree" sign in the window of the former Unique Thrift location.